My neighbor Dave died today. At 87 years old, his mind was sharp as a whip, despite his ever weakening body. My husband and I spent some time with him in the hospital recently during one of his many visits over the past few months. Dave was cheerful, sharing the Gospel with anyone who would listen, handing out tracts that he would order by telephone – even from his hospital bed. After the doctors and nurses left the room, he shared with us for what must have been the 100th time since we became neighbors some 20 years ago, about his life. These stories often included sad stories of heart ache. His mother was institutionalized for depression and possible schizophrenia when he was just three years old. Dave and his brother were sent to live with their grandparents in rural Michigan. Dave’s time living with his grandparents were probably some of the happiest days of his life. Or maybe they were just some of my favorites; stories of church picnics, outdoor shenanigans with his brother and the simplicity of farm life. When Dave was about 12 or 13 and was becoming too much for his aging grandparents to handle, he was sent back to the city to live with his father and his father’s new wife. That was a hard transition for a young man who had had everything done for him for so long. Rejected by his step mother and a source of irritation to his father, Dave eventually joined the Navy, served in WWII, came home and married. After bearing 2 children, his wife fell in to a cycle of depression and mental illness that lasted her entire life. She was unable to care for her children or her husband and sweet Dave, in many ways still a boy himself, picked up the reigns and ran his family on his own as best as possible. Years later, retired, widowed and alone, Dave spent many an afternoon at our house, sharing a cup of tea and reminiscing of days gone by. There was always a deep sadness as he told his stories, but he always ended by recalling God’s hand in his life. I can’t help thinking of Dave as a boy, just as my boys are running through our home today. I can’t help but thinking that, as moms, we have incredible power to affect our children’s future. Here’s the thing. Dave knew Jesus. He was brought to church and his loneliness drew him to know his savior. When the turns of his life let him down, when his mother and father failed him, his wife failed him, even his children failed him – God never did. When we’re in the midst of babies and sleep deprivation, new marriages and new challenges, it is hard to see the end from the beginning. Who can imagine their toddler as a confused 12 year old moving to a new state to live with a father he never knew, or as a 40 year old father of 3 with a mentally ill wife or as an 87 year old man with broken dreams and little worldly success to show for his time on earth. Here’s the thing. Our kids may have all the best toys and clothes. Our kids may have all the best opportunities, get in to the best colleges and have the best jobs. But without a dependence on God – it’s all for nothing. Pray for them. Pray with them. Pray without ceasing. Pray that they would have a supernatural love for God’s Word. Model a love for God’s Word. Read it. 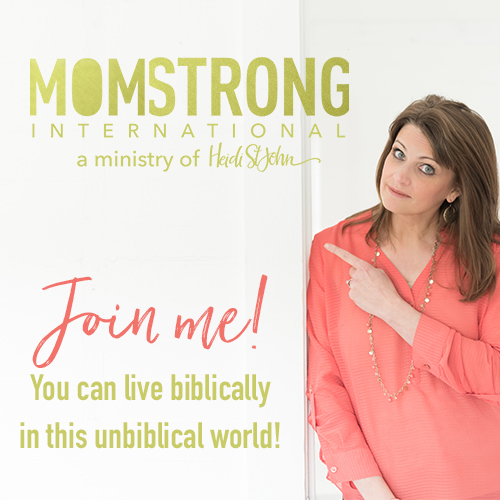 Teach from it in the Deuteronomy 6 way – as you sit, walk, rise and rest. Share with them what God is showing you through His Word and how He is working in your life. Use times of discipline as a time for discipleship. Our kids’ character issues are an opportunity to show them that they NEED a savior, that they can’t do it on their own. Teach them to pray and ask Jesus to help them. Then, when they experience success, stop to thank Jesus for helping them! Show them your dependence on God. We all fail everyday. 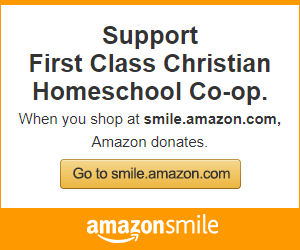 Show your kids what a repentant and humble heart looks like. Don’t be afraid when your children experience trials. Handled properly, our trials draw us nearer to God. Much like a fever acts for our good by killing an overgrowth of bacteria or a potent virus, trials purify us (and our kids) and draw us into a deeper dependence on God. If you can’t help but worry, refer to number 1 above! During this season of back to school, sports, classes and clubs and all of the accompanying pressures and demands – remember Dave. 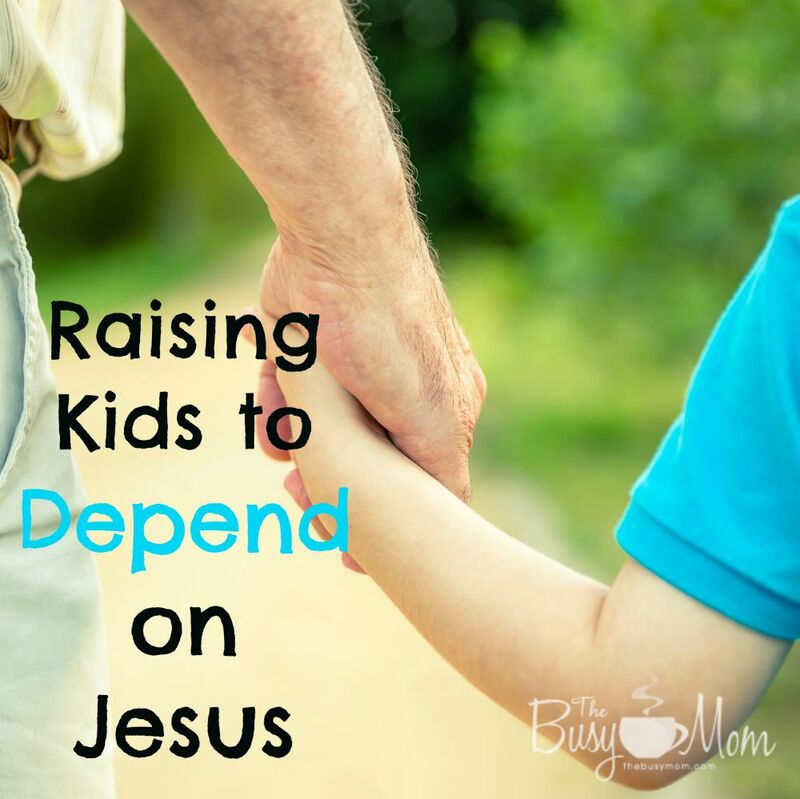 Remember that the most important thing you can do for your child as you prepare them to go out into the world is to show them and teach them a love and dependence on Jesus! Marianne, this is my heart, too. I get this and I think you’ve done a stunning job making it very clear and compelling. I especially love that you used a story to make your point. Jesus taught with stories because they’re very effective tools, and I think this is why he makes all of our lives into stories that penetrate the heart and point to his glory. Like in every good story, there are rough, raw patches in all our lives, and the happy ending is not that we’re happy here on earth, but that we have His love and comfort here, and eternity to look forward to. God bless you, Marianne. You’ve been so good to help navigate life with dyslexic children for me and others, and always, you point readers back to what is really important. What a beautiful post, Marianne! Thank you for sharing. It’s so well written, and thought provoking. Love all your tips, too. :)I’m so sad for your loss. He sounds like an amazing man and all that you said about Dave’s life and impact on yours is just awesome. What a blessing to know he is set free and with Jesus.